This Figs and Cream Cheese Oatmeal is super creamy, salty, and sweet. You just need 7 ingredients and 10 minutes. A warming breakfast for you. The days are getting colder, and fall is all around us. Do you enjoy it as much as I do? Fall is a heart warming time, isn’t it? Long walks in the woods are totally relaxing in fall. At least on sunny fall days. Also, the cravings are changing with every season. While I literally eat a ton of ice cream in summer, I eat lots of apple or pumpkin in fall. And figs! Although figs season starts in summer, I start craving them in fall. This Figs and Cream Cheese Oatmeal is a soul feeding and warming breakfast with an incredible taste. The best breakfast for cold fall days. This super creamy oatmeal comes together with just 7 ingredients. I added cream cheese to the oatmeal because figs and cheese are always a good fit. The subtle saltiness of the cream cheese harmonizes perfectly with the sweet figs and the sweet oatmeal. It makes the oatmeal even creamier too. We never have much time in the morning – except weekends maybe. But leaving the house without having anything isn’t good for your energy level. Breakfast fills up your empty batteries. But do you hate the idea to stand up earlier in the morning because of making breakfast as much as I do? Yes? Then let me tell you that this super creamy and delicious oatmeal takes just 10 minutes. If you optimize every other process in the morning, you won’t need to stand up 10 minutes earlier. Ok, maybe 5. But 5 minutes are ok, right? If you already make breakfast in the morning, maybe you save up some time, and you are quicker done with this recipe. Oatmeal is the perfect start in the morning. It gives you good energy, and you will feel better with something warm in your belly. When you are not into figs that much think of adding apples or bananas instead. Friends have a great start to the day! If you make this Figs and Cream Cheese Oatmeal recipe leave a comment, rate it and tag a photo #alsothecrumbsplease on Instagram! Would love to see your snap! You may also like Maple Bacon Waffles, Blueberry Peanut Butter Pancakes, Banana Chocolate Chip Pancakes, Peanut Butter Acai Smoothie Bowl, or click here to see all breakfast recipes. In a large sauce pan over medium high heat bring oats and water/milk to a boil. Cook for about 5-7 minutes until it gets thicker. Whisk constantly. Remove from heat and stir in cream cheese, maple syrup, vanilla, and salt just until combined. 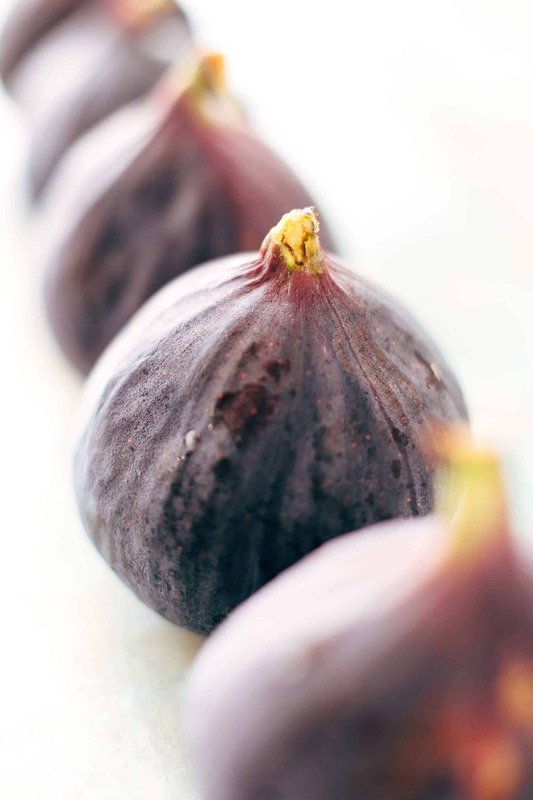 Fold in figs. Serve immediately.